make it Monday # 312 Framing Sentiments & Images, hosted by Laurie Schmidlin. Hello, I have made a few cards for Make it Monday #312 framing sentiments and images. Laurie Schmidlin is the host for this week and I really enjoyed her video. The card above I created the frame using noted scallop A2 die. The sentiment is from mini blooms also using brushed birds and beautiful berries: spring. I did pop up the frame using foam tape. On this card and the next one I used the pattern paper in two different places, as the outside of the frame and the inside of the frame. I would like your opinion on which way is more pleasing to your eye, the first card or the second? 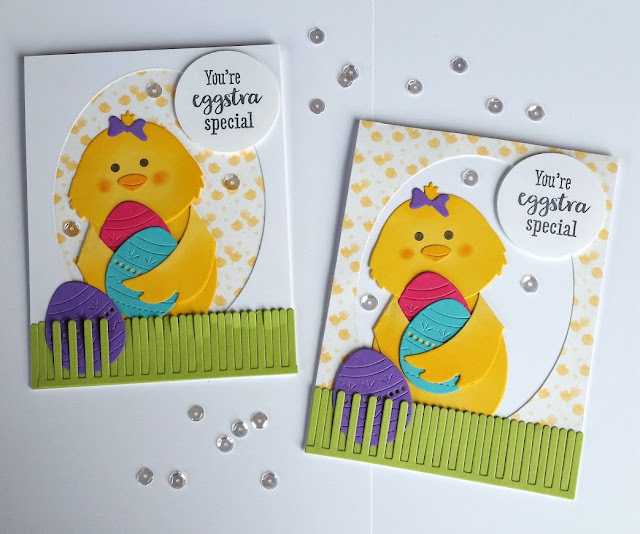 On both of the cards I used the new huggables: chick stamp set and die and the easter grass die. The frame is made using the noted A2 scallop die. The chick huggable was such a joy to use. Below is both cards together, thinking maybe this is easier to chose from. I appreciate all of your opinions. 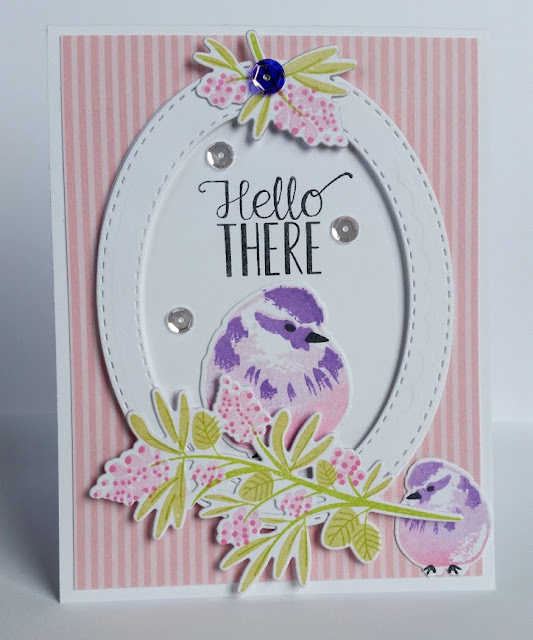 Your birds/flowers card is so pretty and Spring like! And the chick cards are just adorable! Love your cards. 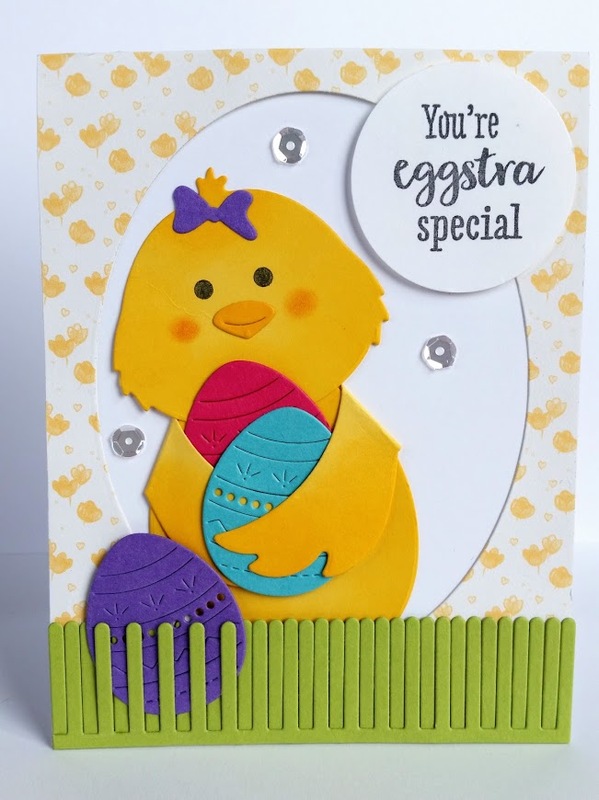 My favorite chick card is the one with the pattern inside the oval. Really fun. Your cards are so beautiful! I love the look you got with your birds, you chose colors that blend so softly. They look sweet nestled in the berries. And the chicks are adorable!! Sweet cards, Nancy! 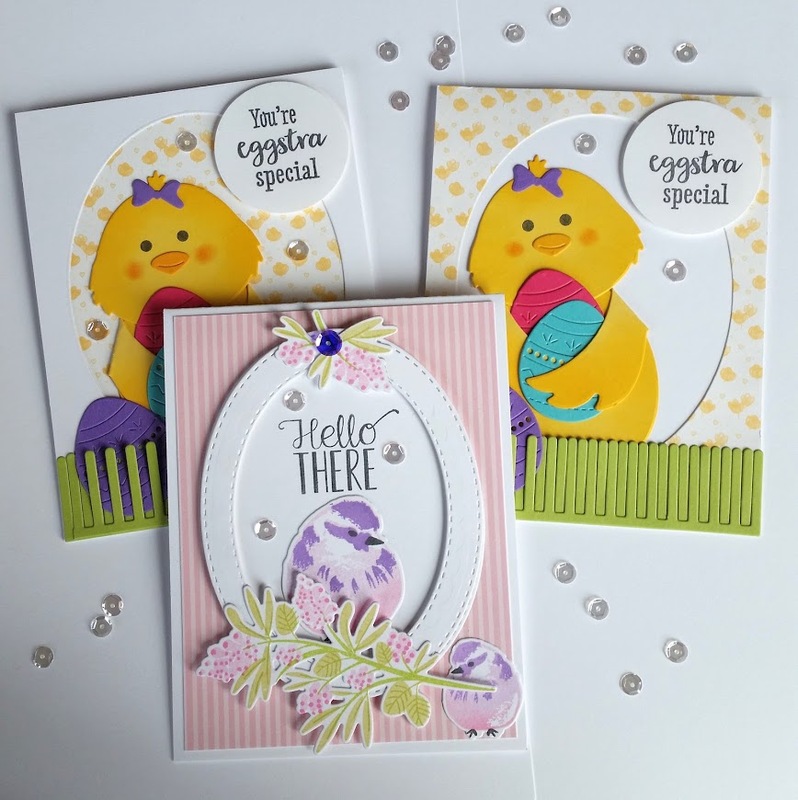 Love the little chicks, and your "Hello There" card is stunning! Wonderful cards, Nancy! 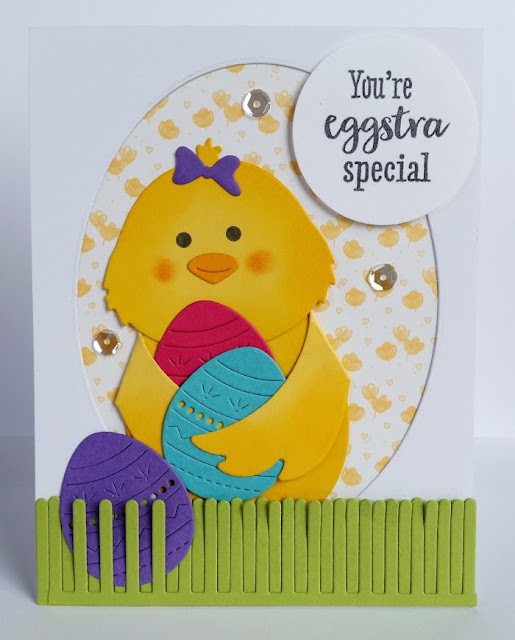 I love those layered birds and that is really one cute chick! Okay, I looked at them both and my eye seems to like the one with the paper in the middle, but you know they are both great! Super cute cards Nancy! Love the sweet birds and chicks! Great take on the MIM challenge!